If you now realize you that can&apos;t attend the trip, kindly contact me as soon as possible to arrange for another parent to take your place. The cost for chaperones is $42.00. Please submit your payment by April 26th. It is possible that another parent may be allowed to attend if they choose to drive. We do not have any more room on the bus, but we have two additional tickets. 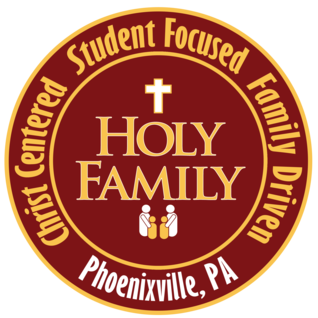 Please contact Mrs. Seiverd via email dseiverd@myholyfamilyschool.org if you would be willing to drive and you would like to purchase a ticket. We will be leaving Holy Family School at 10:00 am. All chaperones must understand that the consumption of alcohol and the smoking of cigarettes will not be permitted. You will be responsible for taking your child and two or three others to events around the park. You will need to stay with these students at all times. It will be necessary for you to help the students purchase food and pay attention to all food allergies of the children in your charge. I thank you for accepting this responsibility. I am looking forward to a fun field trip and a fantastic day with you and your children. Eighth graders do not have to order a yearbook. As we welcome Spring - we also welcome allergy season! And Spring Cleaning! So if you have extra tissues or cleaning wipes that you could send in to the classroom - We would greatly appreciate it. March is coming to a close! This year is going to fast! Before you know it you&apos;ll have 7th graders! WHAT&apos;S NEW - THE FLU! And we are currently out of disinfecting wipes - So if you have any at home - please feel free to send in some - THANKS! We are doing a GREAT job with our FOOD Collection - And a BIG part of our greatness is SARAH DUFFY! Sarah has been going around her neighborhood and gathering food for our food collection! What a great thing to do for LENT! Thank you Sarah! As a class we are also collecting money/change for the Rice Bowls - If you or your student want to bring in change for the poor. Also for Lent we are doing a Lenten Packet - Each day the students have something to read or to color - and a question to answer - such as How is your Lenten sacrifice changing you this Lent? I hope you will all see your students Lent Packet at the end of Lent when they are brought home. Our Peace Maker Goal for March is 20 peace maker points! And the prize will be an afternoon movie - with popcorn and drinks. - But it will be after Easter. 2/21/19 - Thank you so much for all my birthday wishes! The children wrote me fantastic cards! Thank you! 2/15/18 - Thank you so much for all the valentines&apos; gifts! They were all so thoughtful and Yummy! Thank you! 6B is still having STEAM - ask your student what they did! 2/14/19 - We will have a St. Valentine&apos;s day Party. I will bring in Pizza and drinks for the students. You may find a Title I Family Survey in your child’s folder tonight. The youngest and only in each family received one. Please complete it and return it by Thursday, February 15. Understand that your responses remain anonymous, and the data collected may influence the support we receive from your respective school districts. Today we had Grandparents day – with songs and acts from all the classes and Mass! I’m a little bit bias, but I think our class’s skit was the best! Reilly Dunn,Sarah Duffy, Ashley Coleman and Sophie Tyrell and the girls wrote the song and came up with all the movements – so it really was all the students’ original work! We Saved Sam - a team building project – involving gummy worms and paper clips. The students were split up into two teams and one group for judging. The teams were given 10 playing cards, 10 paper clips, 4 quarters, 4 dimes, 4 nickels, and 4 pennies and they needed to build a tall tower that would support the coins. They did a great job! Ask them about it! And lastly we played a word game. I hope the students had fun! Sunday 1/27 - Students are invited to wear their uniforms to mass. Teachers will have a special activity for students and NO HOMEWORK!. Grandparents’ Day - St. Ann Chapel starting at 8:45, followed by Mass at 9:30. Grandparents will have a reception at school, then walk around to visit the classrooms. Students dress in their team color - Red or Blue. Teams will be assigned. Students dress in gym clothes. January is off to a Great Start! We have a lot scheduled for January. Friday Jan 11 is Eagle&apos;s Day - Students are encouraged to wear their Eagles gear over their uniform or anything Green - over their uniform! Friday Jan 18 is Science Fair - 9am to 10am is open house for 7th grade science fair and 1pm to 2pm is open house for 5th grade science fair. It&apos;s great to see how awesome our students are! Friday Jan 25 6B will have a dress down day from achieving their Peace Maker points for December! They are amazing! Sunday Jan 27 Starts CATHOLIC SCHOOLS WEEK! Parents - please send in a family picture for our CSW family board! Thank you! There will be a lot of fun events scheduled for this week to CELEBRATE US! Tuesday Jan 29 is a school Mass at 9:30 - all are welcome! They are off to a great start - they already have 8 points! As always Thank you for sharing your amazing children with me and Thank you for chosing Catholic School!